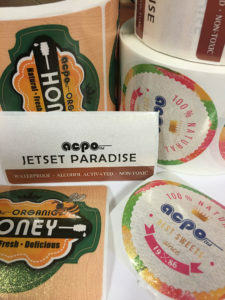 Add dazzle and depth to your label with acpo’s newest innovation– Glitter Overlaminate. Outshine your competition while protecting your product. 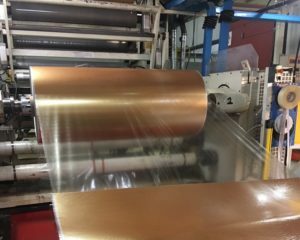 Great for enhancing labels and flexible packaging films. This 1.0 mil Clear Biaxially Oriented Polypropylene (BOPP) is ideal for decorative labels and packaging. Also provides additional overall stability. Product 521A also offers excellent acid, chemical, oil and scuff resistance. Add pizzazz without the mess, acpo glitter overlaminate will not rub, scratch or flake off.